Is Your Gluten Intolerance Really FODMAP Sensitivity? When Can I Eat Ezekiel Bread on Candida Diet? Candida refers to several types of yeast, or fungi, that normally live on your skin and in mucus membranes throughout your body. These fungi don't cause health problems unless too many grow. At that point they can cause a yeast infection. The Candida Diet is designed to relieve an overgrowth by eliminating foods that support the yeast. If you think you have a yeast infection, consult your doctor for an accurate diagnosis before starting the diet. The Candida Diet removes diverse foods for a limited amount of time, but only one -- sugar -- currently has scientific backing. As yeast ferment sugar, it acts as a source of energy for them. Some studies suggest that cutting down on sugar may help prevent yeast infections, reports the University of Maryland Medical Center. Research hasn't yet proved that the diet can treat an existing infection, however. This diet is generally balanced and sustainable as part of a healthy lifestyle. It allows vegetables, meat, fish, poultry, eggs, nuts, seeds, probiotic foods and gluten-free grains. Specific foods must be completely eliminated at the start of the Candida Diet. Ezekiel Bread contains at least two of the top ingredients to avoid: yeast and gluten. 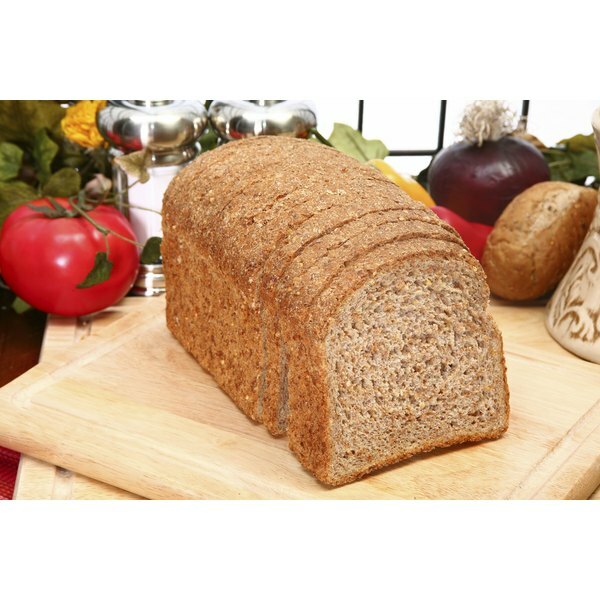 The bread is made from sprouted grains, including wheat, barley and spelt sprouts, which all contain gluten. Some fresh yeast and wheat gluten are also added. The same company produces gluten-free bread, but it contains yeast and sugar in the form of agave. All types of added sugar must be avoided, including brown sugar, honey, syrups and other sweeteners. The diet consists of two phases. The first phase should last two to three months. During this time it's important to strictly follow the diet. In addition to avoiding Ezekiel Bread, this means avoiding all sugar, yeast, processed foods, simple carbs, alcohol, grains, foods with gluten, beans and dairy products. These are among the most important food items to avoid. You may start feeling better after three weeks, but stick with it for at least two months. The time needed to fight a Candida overgrowth varies with each person. It depends on the severity of the infection, the amount of probiotic foods consumed during the first phase and how well you follow the total diet. After two to three months -- and after symptoms improve -- you can begin the second phase and reintroduce healthy, whole foods. The original Candida Diet recommends adding fruits, beans and starchy vegetables first, while staying away from yeast, added sugar and gluten. Take this step slowly. Add one food at a time and consume small portions until you see whether it triggers a recurrence of yeast overgrowth. Other versions of the diet suggest reintroducing yeast and sugar first as a way to test your body’s response to these two big triggers. Following this advice, you can reintroduce Ezekiel Bread as a source of yeast and sugar, as well as gluten. But if your symptoms return, remove the bread from your diet again and consult your physician to rule out health problems. The Candida Diet: How Long Should Each Stage Last?